Originally known as animal silhouettes, my Zooettes first evolved out of a home decor problem. I had moved to a new city with my wife, and all my personal artwork was packed away. 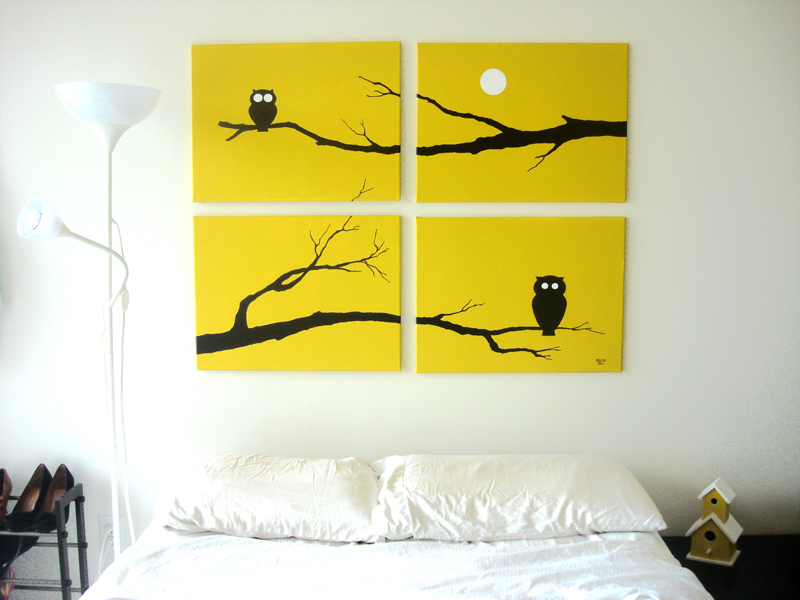 Nobody likes bare walls, so she suggested I make something quick to hang over our bed, possibly with multiple panels and silhouettes. I sketched out a few ideas, including ones with animals. The owl was the first Zooette I designed and painted. I am an animal lover—have been all my life. I respect them, and as a fellow member of the animal kingdom, I relate to them. They are fascinating, and there are too many to count. Now I create art directly inspired by them. Zooettes are animal silhouette designs with beady eyes and a splash of color. Coming from a traditional art background, where I also create realistic art, I know how hard it is to find unique art for your walls. Zooettes are made to be colorful, fun, and a little out of the ordinary. Are you an animal lover like me? If so, I hope you can find a Zooette that speaks to you.